With rising healthcare costs, more informed and engaged patients, and advancing technology, health wearables have seen a significant uptake in recent years. However, the full potential of health wearables has yet to be recognised and there are still challenges to be resolved. 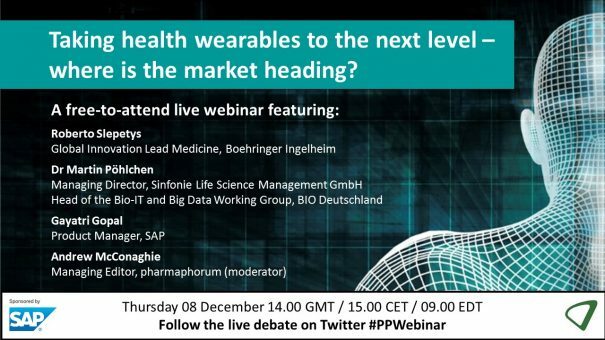 What needs to be done on the regulatory, technical and healthcare side to take health wearables to the next level? The live webinar took place on Thursday 08 December at 14.00 GMT/15.00 CET/09.00 EDT. To view the on-demand version, please click here or on the button above/below. Roberto Slepetys is a molecular scientist and chemical engineer. He has been a pioneer of internet business in Latin America as an early entrepreneur in the area, driving technology innovation focused on customer demands. He moved to the pharmaceutical sector after more than a decade creating digital solutions, focused in the field of new business development and business intelligence for the pharmaceutical division of IBOPE – INESTRA and leading the commercial operational effectiveness group in the Brazilian operation of Daiichi-Sankyo. Roberto joined Boehringer Ingelheim in 2009, and currently leads global non-pharmaceutical innovation in medicine, striving for the creation and development of new solutions for a sustainable positive impact to patients’ unmet needs. Martin Pöhlchen has more than 20 years’ experience across many areas in industry. He is co-founder and Managing Director of Sinfonie Life Science Management GmbH, and was a founding Board Member of the German Biotech trade association, BIO Deutschland. He has been head of the new working group on Bio-IT and Big Data since October 2014 and head of the working group for intellectual property and technical licensing since 2006. Owing to his professional background in the biotech and IT industries, Martin combines unique operational and technical knowledge at the intersection of biotech and information technology. 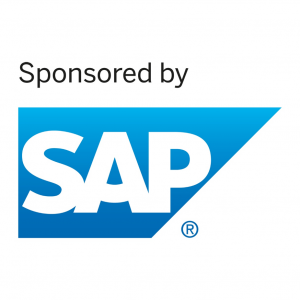 Gayatri Gopal is a product manager in SAP’s Connected Health group responsible for next generation applications for the biopharmaceutical industry. Her focus areas include solutions to improve clinical R&D productivity and patient engagement. She has over 9 years of broad consulting experience having worked with top US and EU based biopharma companies. Gayatri has undergraduate degrees in pharmacy and biological sciences as well as a masters in pharmaceutical marketing from the University of Mississippi.